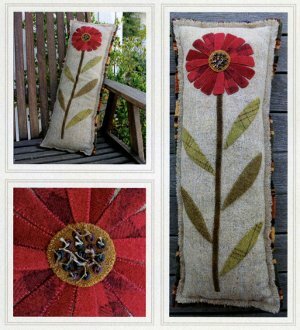 A Single Stem Pillow Pattern by Cottage at Cardiff Farms features a single fancy flower accented with an embellished beaded center, a quick and easy to beautify your decor. 9-1/2in x 24in. Can be made from wool or cotton.